It took about 10 minutes and an encounter with a cranky Italian waiter to reach the front of the queue, and when I finally stepped through the doors I found the place was so packed that they had to sit me at the same table as someone else – a happy & smiling girl who looked to be in her late 20’s and was still perusing the menu. We got chatting and established that English was our common language. 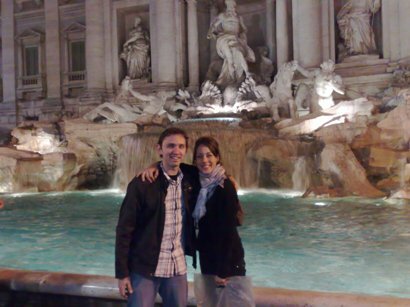 She was an actress from Spain and had a few days in Rome for business, and I soon found out the reason she was at this restaurant was because she had the same guidebook as me (albeit in Spanish of course). She too wanted to experience the best pizza in the city! 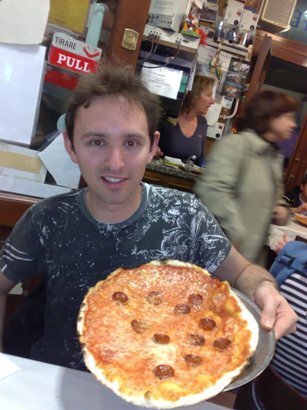 Two nights later, Carmen and I again met at the same pizzeria for an encore meal. 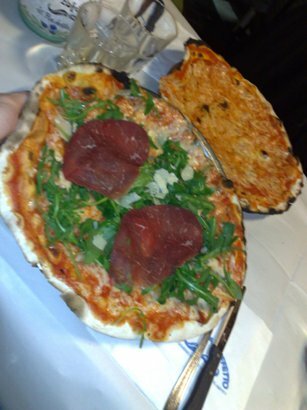 This time I ordered a rocket and prosciutto pizza; it was just as incredible as the first. We sat outside and were grouped with four Italian guys who were in town to watch some football, and I somehow managed to make polite conversation with them using the few Italian words I knew and the small amount of English they knew, along with a bit of translational help from Carmen. 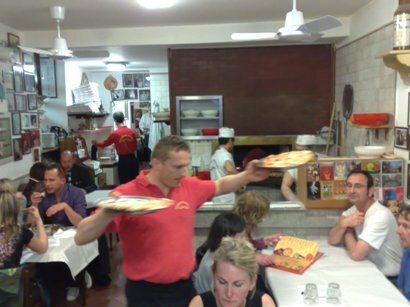 We then decided to share another pizza between the two of us, and after a delicious tiramisu and a shot of Limoncello to wash it all down, we bade our football fans goodnight and headed towards a proper Roman coffee shop for an espresso. It was pretty disgusting but I’m glad that I tried it, and before heading home we stopped by the Trevi fountain to bask in its glory and take a few happy snaps. Walking back to my hostel with a smile, I realised I finally fulfilled an experience I’d been waiting for since I arrived in Europe a year beforehand: that kind of travel experience I’d read about all too often where you meet a random person in a random city who you were clearly “meant” to encounter. And what better thing to bring us together than the best pizza in the city? I left the Italian capital the next day a much richer person – and that, my friends, is why my favourite thing that starts with R is Rome. I ended up winning the Rhianna CD but unfortunately I don’t at all dig her style of music. Does anybody want it?! 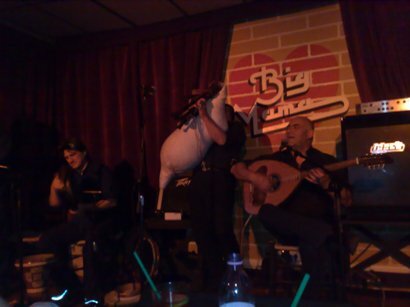 This entry was posted on Sunday, March 7th, 2010 at 7:13 pm	and is filed under Blog, Italy, Travel. You can follow any responses to this entry through the RSS 2.0 feed. You can leave a response, or trackback from your own site. Great story! It’s those special nights when the travel gods seem to coordinate everything perfectly that make travelling worthwhile. There are a couple of good tracks on the Rihanna album (although some depressing ones too). Thought I would catch up on what you are doing and loved reading your experience on Rome and what a lovely memory to keep. You do write well no wonder you won the CD. I can well appreciate your feelings for Rome, mine will always be with me as well. I quite like Rhianna. You had pizza in Rome with a Spanish girl called Carmen!